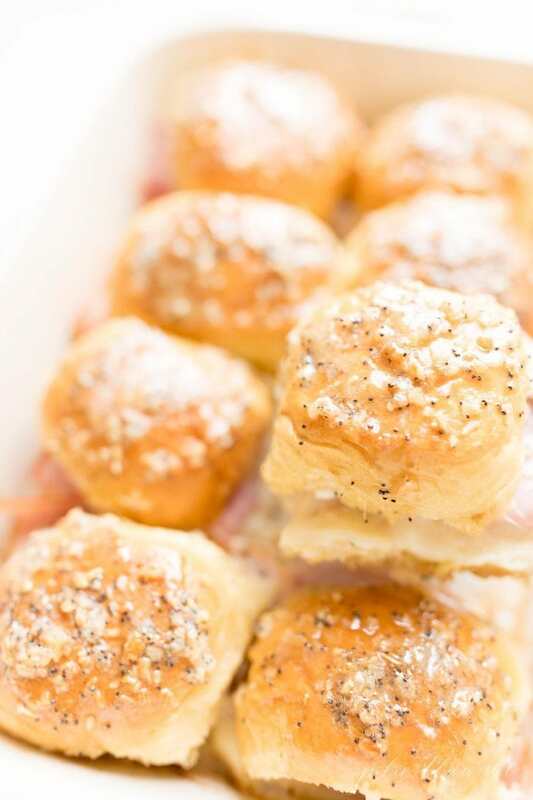 How to make the best Ham and Cheese Sliders, the ultimate hot ham and cheese sandwich perfect for any party! 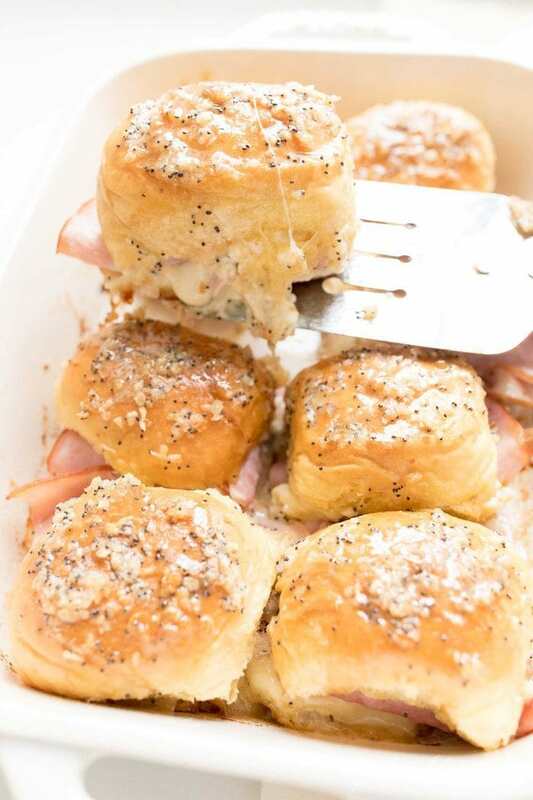 You’ll love these mini hot ham and cheese sliders, for game day, the Super Bowl, and an easy dinner even your kids will love! I’m updating one of my favorite recipes I first shared nearly 10 years ago. They’re a go-to for a cold evening in. 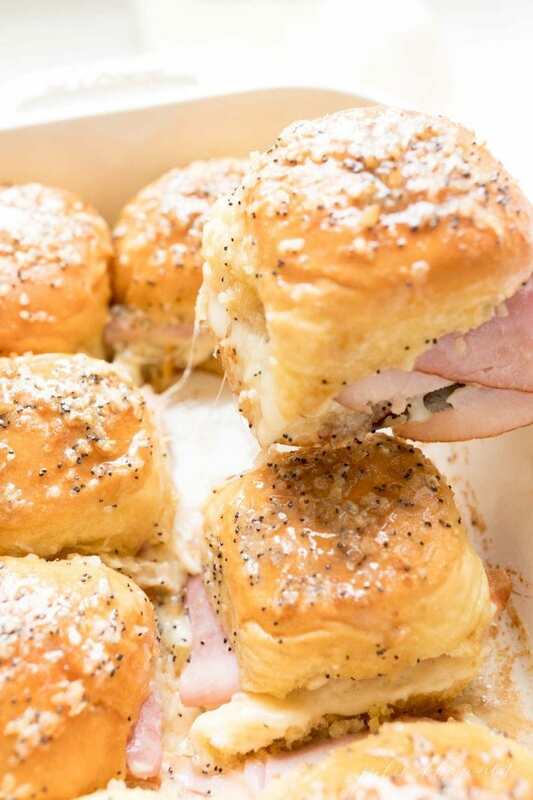 We can’t get enough of these easy Ham and Cheese Sliders. We enjoyed them once again over the weekend when we were snowed in. 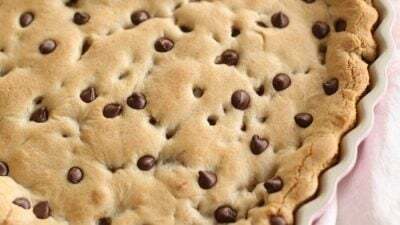 They’re an incredibly delicious way to warm up and kid friendly, too! 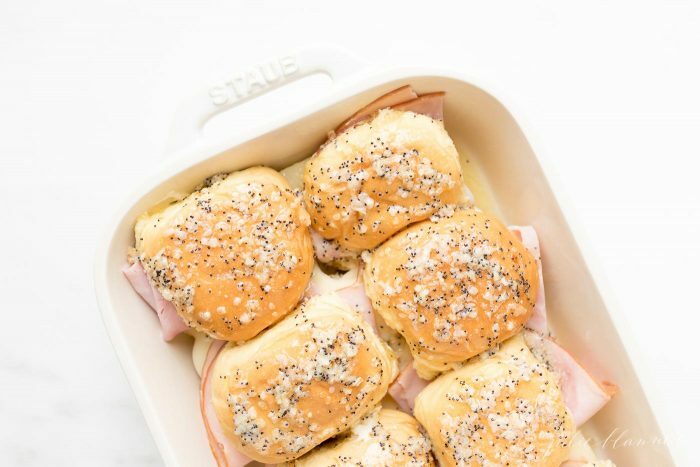 This melt in your mouth Hot Ham and Cheese is the ultimate comfort food! Through the years I’ve perfected these ham and cheese sandwiches to ensure the gooiest, most buttery sandwich you’ve ever had! And hey, they come in the perfect portion controlled size to eliminate any guilt. 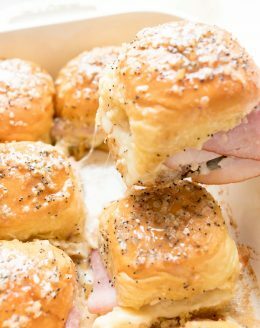 I’m sharing all of my tips and tricks in addition to the ultimate Ham and Cheese Sliders recipe with you today! The secret is in the sauce – and what lies beneath. 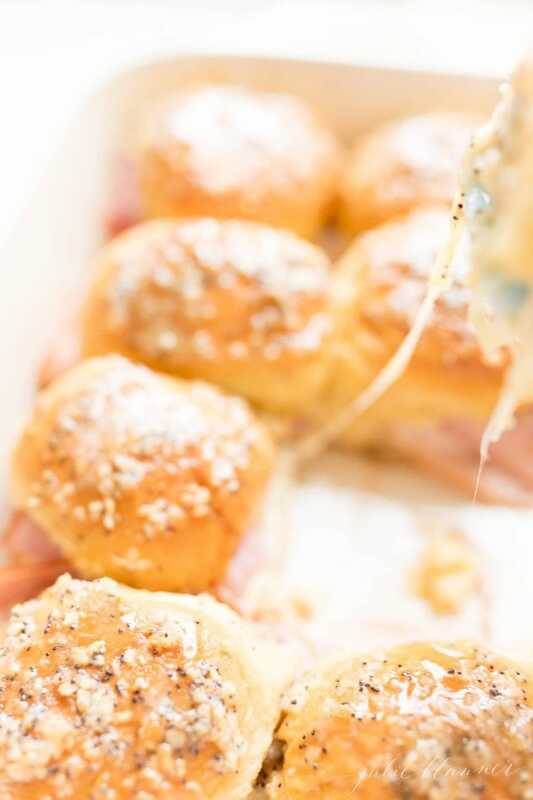 A blend of butter, worcestershire sauce, minced onion, and poppy seeds make the most amazing sauce that bakes into the Ham and Cheese Sliders. The base of the buns are coated in olive oil mayonnaise, which seeps into the buns and adds to the gooeyness of the cheese. Don’t worry, even the pickiest eaters and mayo haters (um, me!) won’t be wiser. 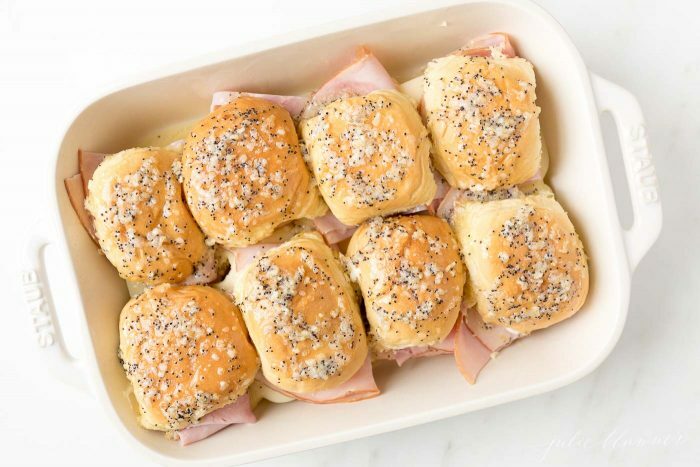 If you really want to, you can make ham and cheese sliders without poppy seed, but I recommend you try it. They’re seriously so good! Of course you can’t make a ham and cheese sandwich without ham! I like to use tavern ham, but you can use any un-flavored ham or savory ham like black forest as well. In my opinion, the thinner, the better. For the best results, get swiss cheese from the deli counter. 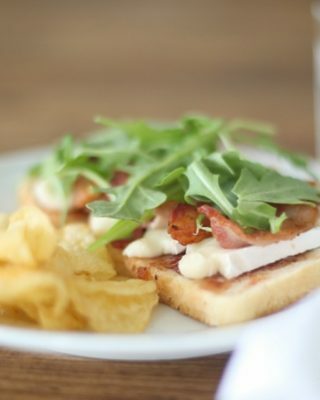 It’s freshly sliced which means it melts even better than packaged swiss. Finally, cocktail buns! The best slider bun is cocktail sized egg buns found in your grocer’s bakery. 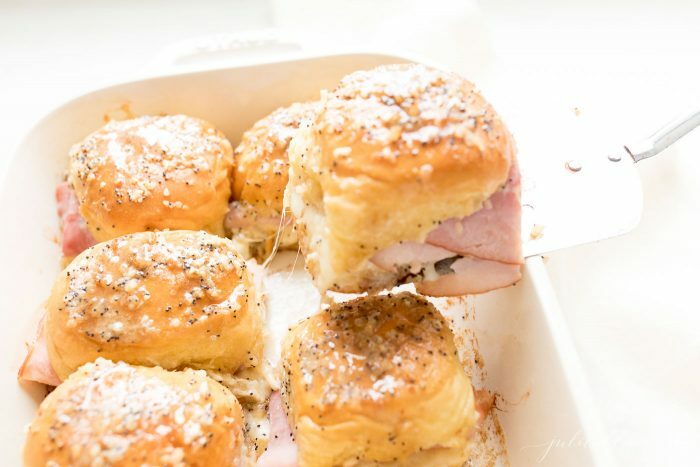 Again, fresh is always best and produces the most melt-in-your-mouth ham and cheese sliders! Dinner rolls or Hawaiian rolls will also do in a pinch. 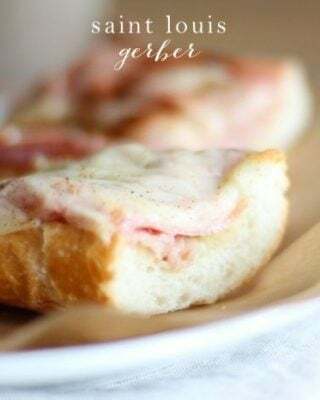 This Hot Ham and Cheese sandwich is so easy to make even little kids can help! While they’re quick and easy, I never say no to helping hands. You can whip them up in 10 minutes or less (hands on time). 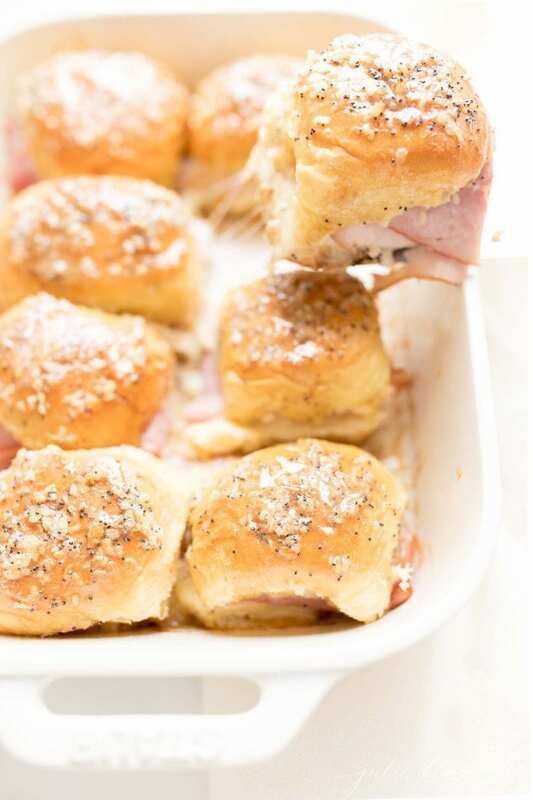 Then these little Ham and Cheese Sliders bake about 14 minutes. Line a baking dish or baking sheet with the bottom of the buns, slathering each one with mayo. Add slices of cheese on top (no need to cut). 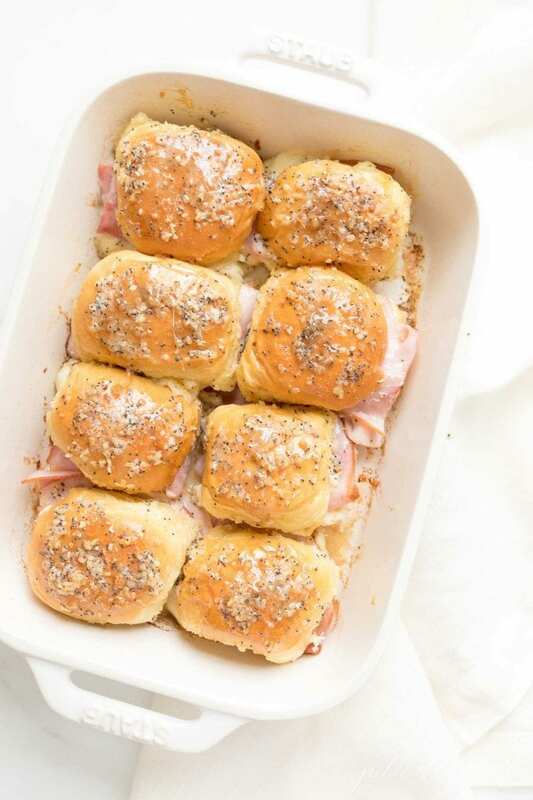 Coat the top (inside) of each bun with mayo and place on the top of each ham and cheese sandwich. In a pourable bowl, combine butter, worcestershire sauce, minced onion, and poppy seed and melt in microwave. Pour over sandwiches reserving about 1/4 cup. 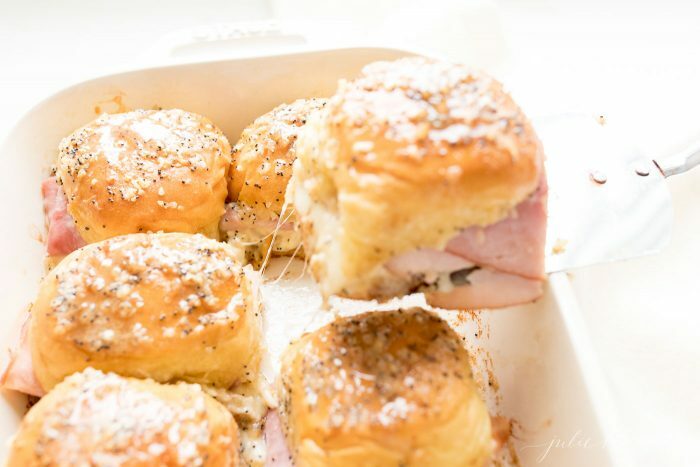 Place ham and cheese sliders covered in foil in oven. Bake 12 minutes. Remove the foil and bake an additional 2 minutes or until cheese is melted. Pour remaining mixture over tops of the rolls. Serve hot. The result? Individual gooey, buttery sandwiches that melt in your mouth with a little crunch from the butter soaking into the cocktail bun in the bottom of your baking dish. Remember fresh is always best. Use fresh buns from the bakery, if possible. Have ham and swiss sliced thin from the deli counter. 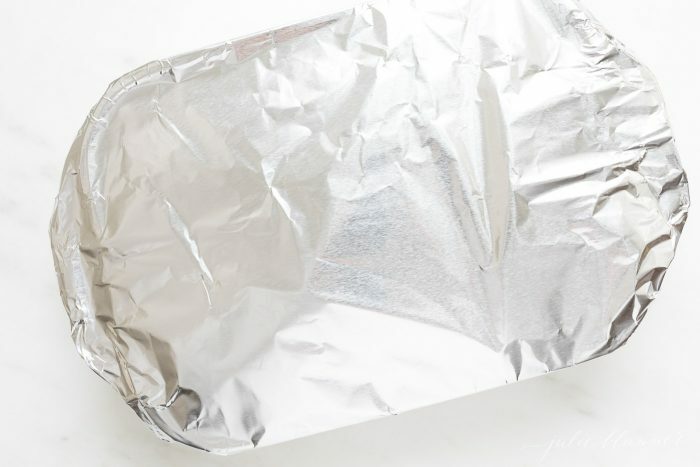 Cover with foil – this will keep the moisture in! 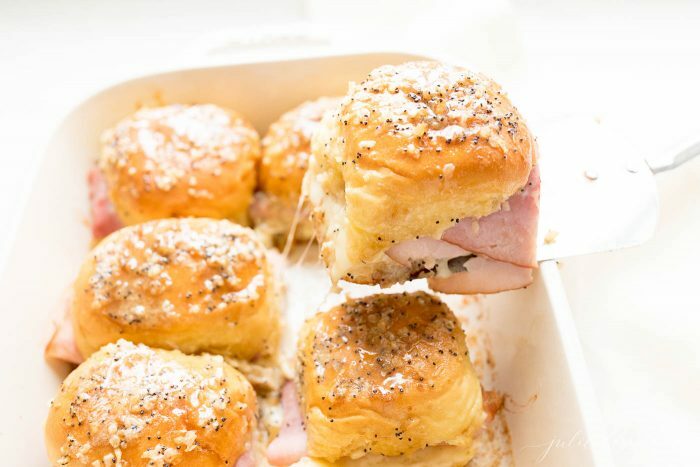 The Ultimate Ham and Cheese Sliders - hot ham and cheese sandwich that melts in your mouth. An easy dinner, or to feed a crowd for game day! Slice dinner buns in half. 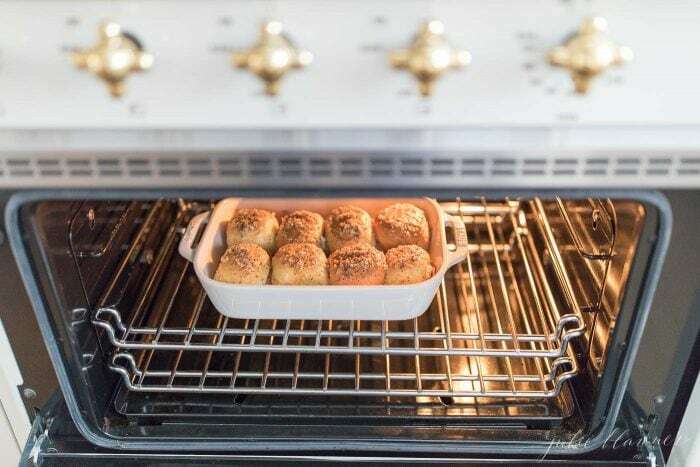 Line a 9x11 baking dish with the bottom portion of the buns. Spread a little mayo on the buns. Coat with the sauce. Cover and bake for 12-14 minutes. Those sliders has the capacity to make everyone drool. So yummy! I make these using Parker House Rolls. Yes, they are yummy! How many per person? You didn’t say how many buns,cheese, or ham! Please forgive me, Dorothy – I added it in. 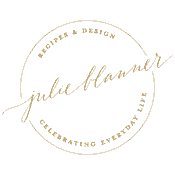 I updated my recipe cards to make them a little more user friendly last week, but there were a few glitches. I hope you enjoy these as much as our family does! 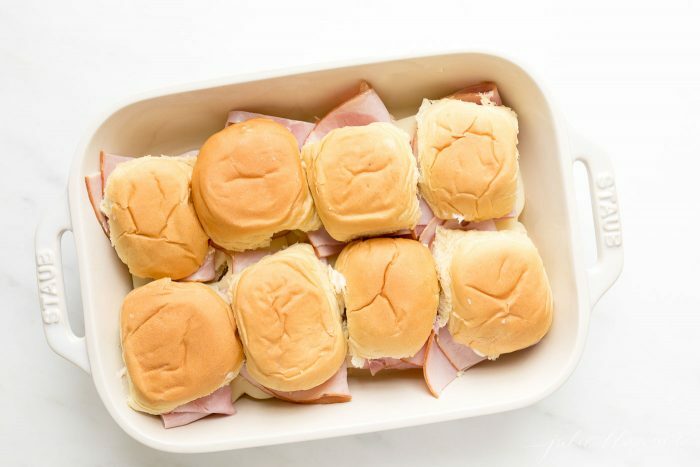 These are our favorite sliders! 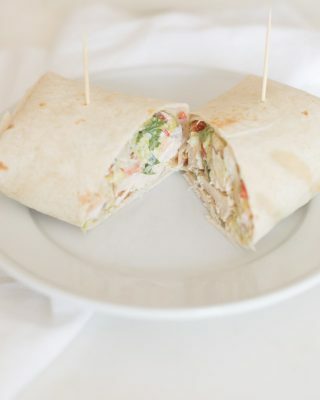 Oh yes, these are a great dinner idea or work great for a party! 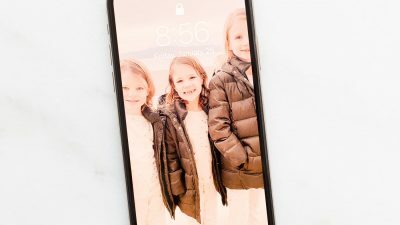 These look so easy to make! I know what I’m making for dinner tonight. Thanks! These are making me hungry! They look so dang yummy! These are fabulous! Perfect for dinner or a tailgate party. Like everything I’ve tried so far of yours This was Amazingly mouth watering 😋😋. Easy to make and so delicious. Melt in your mouth !!!! I’m so glad you enjoyed them!!! Thank you for taking the time to share! I abbreviate teaspoon tsp and tablespoon tbsp, but technically it should be capitalized.